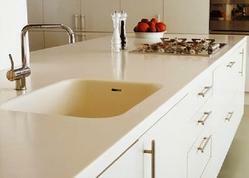 Leading of solid surface shower kits and bib tap from Chennai. 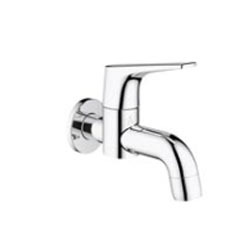 Established in 2012, we, Sevendotz Building Solutions Pvt Ltd, are among the renowned suppliers and traders of a diverse assortment of sanitaryware and interior furnishing products. Our offered range is inclusive of Solid Surface Materials,Solid Surface shower kits, Laminate Wooden Flooring, and Natural Stone Tiles. Our products are highly regarded in the industry owing to their long functional life, outstanding resistance properties, and seamless finish. Widely utilized in interior decoration, our offered products are patronized by a large number of customers. These products are procured by us from highly reputed vendors, who are known for offering unsurpassable quality to the customers. We ensure that the products we offer are in compliance with the industry standards.